A body lift after weight loss, also called body contouring, is a procedure or combination of procedures to help improve the excess fat deposits, sagging skin and irregular contours that remain after massive weight loss. Why do people choose a body lift after weight loss surgery? Significant weight loss is a huge challenge to be extremely proud of. While significant weight loss can dramatically improve your health and your appearance, many people who manage to lose a lot of weight, whether through nutrition, exercise or the help of bariatric surgery or other medical treatments, are left with sagging skin, stretch marks and irregular contours that a healthy diet and exercise alone cannot correct. Many people want to reward themselves for their weight loss accomplishments with a body lift that helps their body reflect their more active, healthy, and rejuvenated lifestyle. 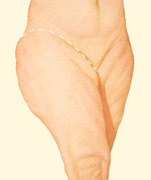 A body lift removes excess loose skin and fat while tightening the areas of the buttocks, abdomen, waist, hips and thighs. A lower body lift may all be done in one procedure with a circumferential incision or may be performed in stages. 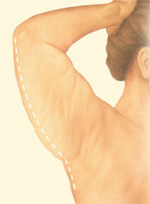 A body contouring procedure may also include an arm lift or breast lift. A body lift results in a more sleek, slender, and more rejuvenated and healthier you. With a better proportioned body, many people also enjoy a renewed positive self-image and more self-confidence. 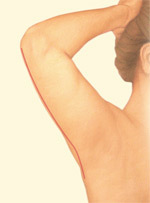 The dramatic results of body contouring are visible right away but will improve even more over a period of time. As long as weight is maintained with a healthy lifestyle, the results of body contouring can be long lasting and extremely rewarding. How can I learn if a body lift after weight loss is right for me? If you’d like to make an appointment for a consultation to learn whether a body lift after weight loss is right for you, contact Dr. Art Armenta’s office. Dr. Art Armenta is a Diplomat and certified by the American Board of Plastic Surgery and is a member of the American Board of Plastic Surgery.